Professor John Makumbe, who has died aged 63, overcame the stigma of albinism to become a fearless critic of Robert Mugabe and a key figure in Zimbabwe’s civil society. In May 2003 Zimbabwean police broke up a peaceful meeting of civic and religious leaders at a church in a Harare suburb, beating and arresting those present. One of them was the political science lecturer John Makumbe, who arrived late and was detained as he entered the building. After three days in jail he was released, and the following morning attended a press conference. “Look at my face” he said cheerfully. It was bruised, battered and swollen. “I am a rainbow nation all in one. Black, white, yellow, red, purple. It is all here.” The response was typical of a man who could find pithy humour in the most trying circumstances. Throughout Zimbabwe’s long fall into political turmoil, Makumbe remained one of President Mugabe’s and the ruling Zanu-PF party’s most eloquent and implacable foes. He was chairman of the local chapter of the anti-corruption organisation Transparency International and a founder of both the Crisis in Zimbabwe Coalition and the National Constitutional Assembly, bodies campaigning for democracy and human rights in a land where they were vanishing fast. John Mudiwa Washe Makumbe was born on May 6 1949 in rural Buhera, 140 miles south-east of Salisbury (now Harare), Southern Rhodesia. Seeing that he was an albino, the midwife tried to throttle him at birth, assuming, he later explained, that because of his pale skin his mother must have been having an affair with a white missionary. When his future wife Virginia accepted his marriage proposal, her mother was initially so distressed that she threatened suicide, and approved of the marriage only after a year. But before she died, she told her son-in-law she was happy she had relented as he was such a valued member of the family. 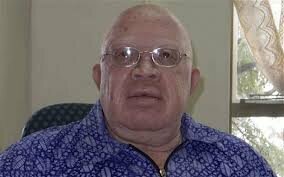 In 1996 Makumbe founded the Zimbabwe Albino Association (ZIMAS), which helped dispel the myths surrounding the condition in Zimbabwe. By then, following time spent studying in Botswana, Birmingham and Tasmania (the last on a Commonwealth Scholarship), Makumbe was a well-established academic at the University of Zimbabwe and the author of numerous papers on governance and democracy. His initial hopes for Zanu-PF following Independence in 1980 had long been dashed, and he was an early dissenting voice against the regime, working with Margaret Dongo, a former guerrilla and Zanu-PF MP who ended up challenging the Mugabe government. No matter how sensitive or controversial the story, Makumbe was never afraid to be quoted, but that was not enough for some. Two American television crews told Andrew Meldrum, a journalist then based in Harare, that Makumbe was too unattractive to appear on screen. “Can’t you find somebody else who says the same things but is not so visually challenging for our viewers?” a correspondent asked the shocked Meldrum. He is survived by his wife and their three children.